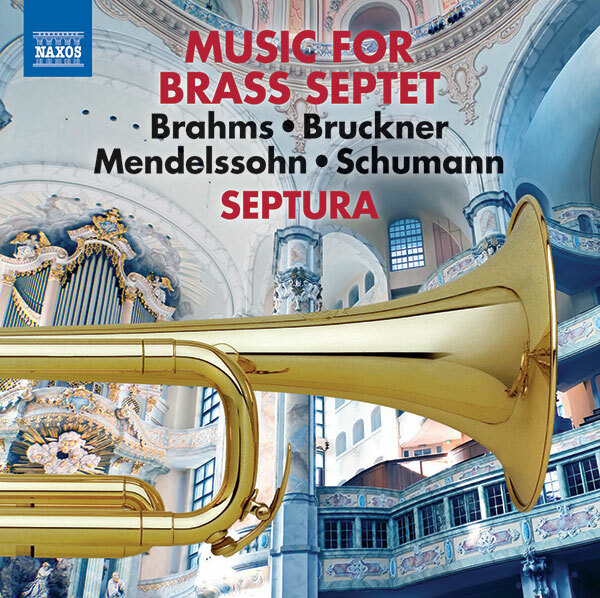 What if four celebrated nineteenth-century composers – Mendelssohn, Schumann, Bruckner and Brahms – had written original works for brass septet? This recording explores that fascinating counterfactual twist, re-imagining choral and organ works by those composers. The arrangements call on the full dynamic and tonal range of the instruments, often extended with a multitude of mutes, to imitate the expressiveness of the choir, the power of the organ, and the versatile sonorities of its different registrations and manuals. In dazzling and varied combinations the arrangers and performers together persuade us that this could indeed be original brass chamber music. 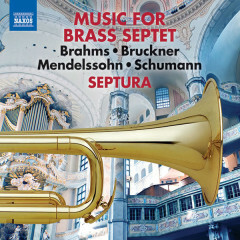 This article was posted in News and tagged brass septet, Music for Brass Septet, Recording, Septura, World of Brass on 22 May 2015 .